Many workplace regulations protect employees. Even though some regulations in the workplace seem trite and insignificant, many protect the rights and safety of employees. Employers often take these regulations seriously, so disobeying or disregarding them could mean a strike against your record, or even worse, termination. Making a quick personal phone call during your shift or forgetting to clean the counter at a restaurant probably won't get you a front row seat in the unemployment line, but refusing to follow safety protocol or neglecting to lock your cash drawer are serious offenses. The most important reason for following company rules and regulations is personal safety and the safety of your clients and co-workers. This is especially important if you work with dangerous machinery, maneuver heavy equipment or work in hazardous conditions. Construction workers and factory employees aren't the only ones who work with potentially dangerous equipment; physicians use X-ray machines, restaurant cooks use hot stoves, and policemen use guns. Neglecting to properly shut down equipment or engage safety features could result in injury or death. 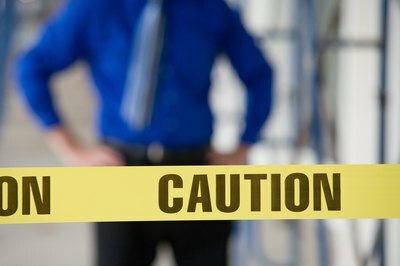 If your company has regulations to protect your safety, disobeying those policies could result in immediate termination. Some company regulations protect more than the physical well-being of employees -- they protect employee rights. Obeying rules that govern employee conduct make the workplace a more pleasant and enjoyable environment. Refusing to follow rules about designated smoking areas, break room use and inappropriate language might result in suspension or termination. Due to laws that protect individual rights, employers take sexual harassment very seriously, and refusal to follow harassment regulations could cost you your job. If every so often you neglect to empty the coffee filter or forget to restock the copy machine with paper, your boss will likely overlook the offense. 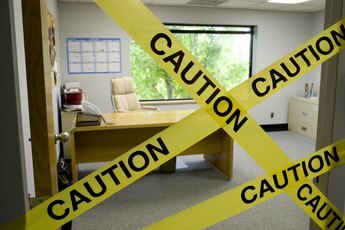 If you use foul language, consistently leave public work areas or break areas a mess, argue with customers, disregard parking policies or act inappropriately toward customers and co-workers, you may be putting your career in jeopardy. In a struggling economy, job security is a highly valued commodity. Obeying company policies and following company guidelines don't guarantee your job will last forever, but doing so helps ensure that you won't lose your job as a result of your own wrongdoing or misconduct. Some employers "write up" or give employees a written reprimand if they neglect to follow company rules or regulations. According to the U.S. Office of Personnel Management, examples of misconduct include tardiness and absenteeism, insubordination and falsification. It often takes more than one minor violation to get fired, but a write-up is still a strike against your record. When push comes to shove and layoffs are necessary, an employer might let an employee with multiple write-ups go and keep an employee who has a clean record. Same goes with promotions -- an employee who follows company policies is in better standing for a promotion than one who doesn't. Obeying rules and regulations in the workplace provides accountability. For example, if your bank teller drawer comes up short but you've carefully followed procedures and recorded every transaction, then your boss will know it was a mistake in the processing center. Or if you're a medical insurance coder and carefully followed rules that require you to look up unfamiliar or questionable codes before submitting claims, you won't be held responsible if a claim comes back as uncovered or non-payable. Following rules and regulations provides you with a system of accountability, so if things go wrong, you're covered.